I had the pleasure of meeting Brooke and Max in Downtown Charleston to capture a major milestone in their marriage, their ten year anniversary. Brooke and Max traveled to South Carolina to celebrate their anniversary. Their plan was to enjoy a kids free weekend, exploring Downtown Charleston, prior to heading to Kiawah Island to relax. 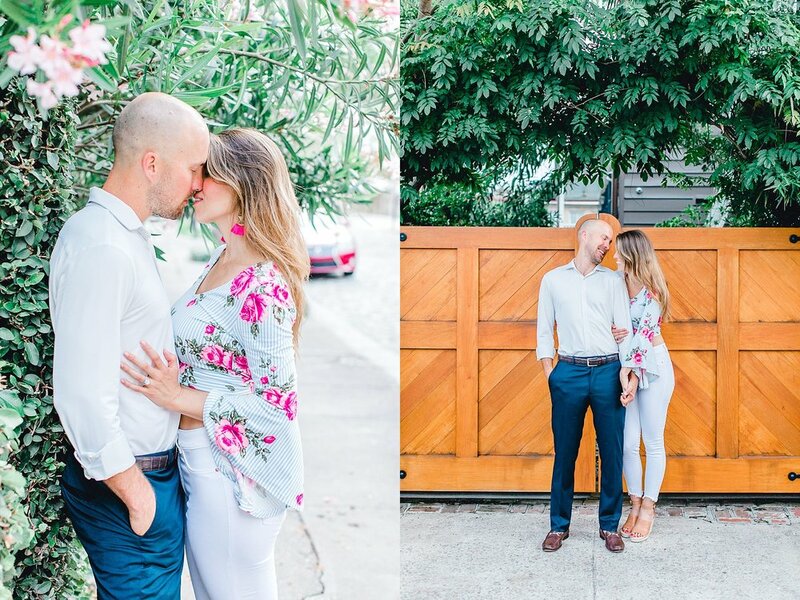 The night before their session they enjoyed dinner and drinks at their favorite place in Charleston, McCrady's, so it was only fitting that we take photos in the ally way leading up to it. We met at sunrise to try and avoid the spring heat and not only was the weather perfect, but we had the entire city of Charleston to ourselves. We explored the city and took pictures at Rainbow Row, cobblestone streets, the Dock Street Theater and beautiful hidden ally ways. Seriously, Brooke and Max are couple goals! Ten years of marriage and two kids and the amount of love these two have for one another is undeniable! I asked the two of them how after ten years still interact and flirt like a couple on their wedding day. Their advice was make time for one another, go on trips and don't forget date nights! I am so happy that I had the opportunity to meet you two and capture this milestone in your marriage. Cheers to many more years of marriage and I cannot wait until we meet again! Here are a few of my favorite photos from their session.